Adam Lambert has been all over the place for the past 24 hours (ironically, mostly on ABC- the network that banned him from Good Morning America and later Jimmy Kimmel). Hmmm…I smell planned PR for them(??). Adam also appeared at the Anti Defamation League’s fundraiser honoring Steven Spielberg in Los Angeles on December 9th. He sang the National Anthem and I’m sure looked hot doing it!!! Check out more pictures like the one above and video of him singing at http://mjsbigblog.com/adam-lambert-sings-anthem-at-adl-awards-honoring-steven-spielberg.htm?utm_source=rss&utm_medium=rss&utm_campaign=adam-lambert-sings-anthem-at-adl-awards-honoring-steven-spielberg. 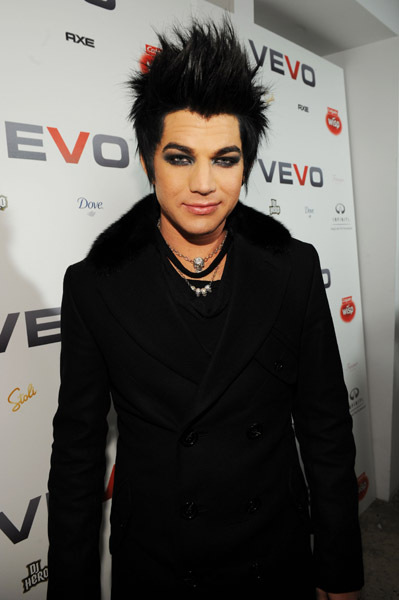 First, sendin’ ya over to MJ’s for a great article (with video) about Adam Lambert’s appearance at the VEVO launch party: http://mjsbigblog.com/adam-lambert-allison-iraheta-at-the-vevo-launch-in-nyc.htm?utm_source=rss&utm_medium=rss&utm_campaign=adam-lambert-allison-iraheta-at-the-vevo-launch-in-nyc. MTV has a bit of an article and video from the VEVO red carpet. Here Adam reacts to Eminem’s song “Elevator”: http://www.mtv.com/news/articles/1627914/20091209/lambert_adam_american_idol_.jhtml. Don’t forget to watch our man tonight on Barbara Walter’s 10 Most Fascinating People of 2009 on ABC at 10:00PM EST, and on The View tomorrow at 11:00AM EST (check local listings for airing times in your area). “Yes, sadly friends, ABC has cancelled my appearances on Kimmel and NYE. 😦 don’t blame them. It’s the FCC heat. I AM doing Leno though. And lookin into something for NYE. Adam is set to appear on the Logo Network, hosting “NewNowNext” this Monday December 7th at 7:00 PM EST. 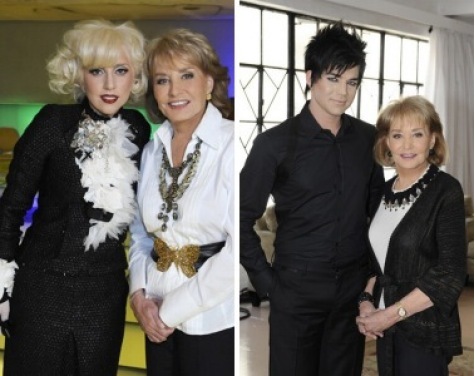 He’ll be on Barbara Walters’ ” Most Fascinating People of 2009″ December 9th on ABC (check your local listings for times). Lady Gaga is appearing as well. Adam will be on NBC’s Tonight Show With Conan O’Brien on December 14th and on Larry King on December 15th. Check your local listings for time on those. And this just in- Adam will be Master of Ceremonies at the Tampa Bay Jingle Ball on December 13th. More details here: http://tboextra.com/content/2009/dec/03/031409/lamber-appear-wflzs-jingle-ball/tboextra/. Set your DVRs GlamFans, it’s going to be a busy couple of Adamtastic weeks!